Few subjects in Australia are more relevant and more complex today than the environment debate. As a highly visible industry and one of the fastest-growing sources of greenhouse gas, the freight sector is taking its environmental performance very seriously. This is a hot topic in the industry – recent VTA research showed that 95% of its industry sees climate change as a major issue and believes a key focus over the next decade will be improving environmental performance. The Victorian Transport Association is taking a lead role in helping galvanise the industry and look at actions that can provide immediate reductions in greenhouse emissions. Freight Environment Day is significant, as it is one of the first times the key players from the industry (including major customers and key government officials) are getting together to discuss the complex issues surrounding the environment and climate change. face of enormous growth forecasts using technology and know-how that exists today. In an industry first, Philip Lovel, CEO, Victorian Transport Association, and Andrew Eastick, regional director, TNT Australia will chair discussions with freight companies and major customers (such as Woolworths and Bluescope Steel) to examine what is working and what isn’t within their environmental strategies. These leaders will then put forward their views on what is needed to turn around the environmental performance of the industry as a whole. At Freight Environment Day, the VTA will launch a Sustainability Covenant with the EPA. This covenant is the first of its kind in the industry, and is likely to be effective in increasing resource use efficiency and reducing the ecological impact of the VTA businesses and industries. Terry A’hearn, chief operating executive of EPA Victoria, will discuss “Why freight counts when it comes to the environment” and will also launch the SmartWay program in Australia, a renowned transport eco-program developed in the USA. Saving fuel, saving the environment and saving money, SmartWay has changed the face of freight in the US. In the ever-changing arena of new regulation, policy, and new technology, it is vital that information is distilled and translated to have relevance to the specific issues facing the freight sector. Environment Day will feature a series of experts holding interactive sessions with small groups. They will explore the latest developments in a range of transport-specific challenges, such as emissions legislation, low carbon freight, alternative fuels, and climate change science. The freight sector is the lifeblood of the economy, and its future sustainability is imperative. Freight Environment Day is vital for those who care how the environmental debate will impact the freight industry and shed light on how transport and logistics companies can prepare for the and influence the future of the sector. 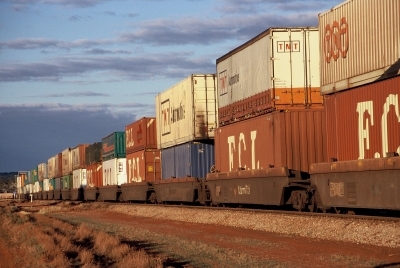 Freight Week is a must-attend event for all in this industry so vital to Victoria’s future. Click here for more information.